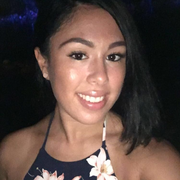 My name is Cynthia Martinez and I am a Graduate student at Southern Connecticut State University . I am apart of the social work program at my school and as an inspiring social worker I hope to one day work with children and families . I have taken many psychology, human development and special education classes . Aside from my knowledge of early childhood , I have many years of experience babysitting the children of my family . As the oldest of three children I have spent the majority of my teenaged years acting as a second mother to my younger siblings and cousins . I have babysat children as young as three months and children as old as twelve years old . I am a punctual, responsible and fun young woman looking for part-time work . I am also bilingual . I am fluent in Spanish so I'd be Read more able to communicate with Spanish speaking parents and children . I currently work at an alternative school for children with emotional distress. My availability for part time work include Friday’s after 3:30pm , Saturday’s after 1pm and Sunday’s all day .